The world’s first pro or semipro football club to pay their women’s team the same as their men’s discuss drawing a line under pay inequality and teach a football chanting workshop! Former Labour Party Parliamentary Candidate, RAF veteran, writer, broadcaster, photographer, self harm and suicide survivor, and transgender – Sophie traces a journey from private torment to personal triumph. Brighton’s queer dance floor for the unusual crowd play the Women’s Liberation Music Archive - a silent disco listening party of 70s and 80s feminist music. Renowned, gold medal winning garden designer and TV presenter, Juliet shares her experience of creating the first social campaign garden at The Chelsea Flower Show entitled ‘Modern Slavery’. In this workshop for parents, carers, workers and anyone connected with children up to age 8, the ECP will explore questions like: How can we bring up our children with a conscious anti-bias attitude? 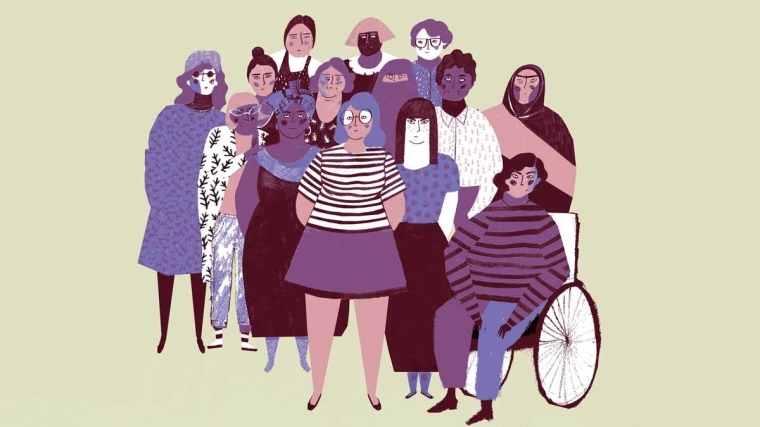 Women from both sides of the Criminal Justice System come together to debate what needs to be done to make Britain’s Justice system a fairer place for women. Chaired by BWC Director, Lisa Dando. Social entrepreneur, campaigner, single parent and feminist Muslim. In this personal talk, a born and bred Londoner explores how she whistleblew to change her world, and her love affair with Bangladesh. Award-winning authors Juno Dawson and Tanya Byrne discuss intersectional feminism and the launch of PROUD, their teen LGBTQ anthology. Young women explore life through the arts, making powerful work for personal development and social change. See a screening of their brand-new documentary.